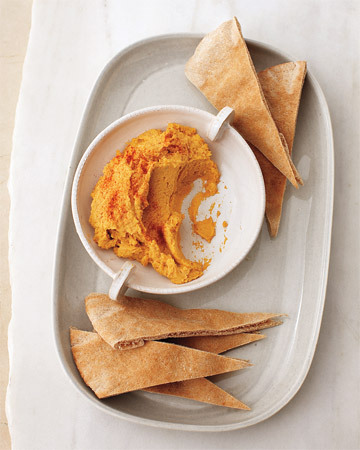 I recently came across this tasty looking Sweet Potato Hummus. Doesn't it sound intriguing? I love finding a new twist on this old favorite. Can't wait to test it out next week! Well done Martha, well done. omg...i love sweet potatoes and i love hummus! sounds like a match made in heaven!